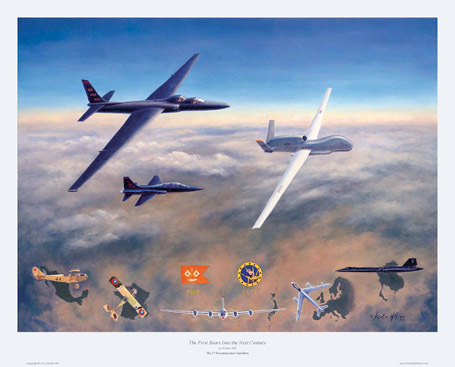 The First Soars Into the Next Century is available as a Limited Edition reproduction lithographic print in an edition of 366 print, sales benefit the 1 RS and are handled by the Beale Liaison Group. An Artist Proof Edition of 36 prints is available from the artist. See larger image, more information and order form here.